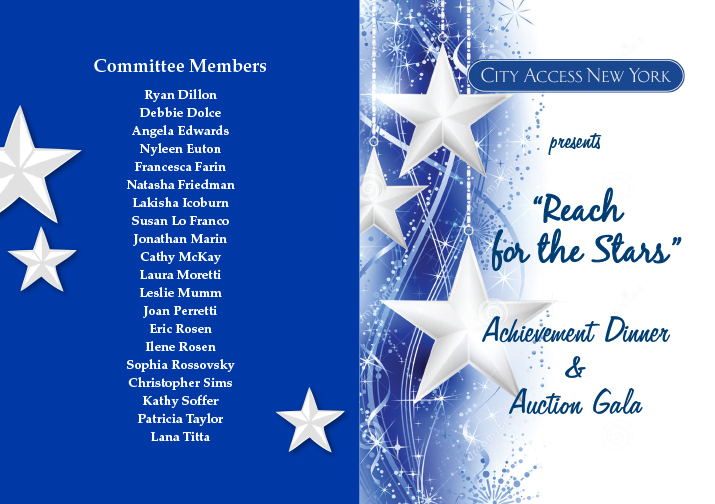 Please join City Access New York for a great night as we honor wonderful community leaders All Island Kiwanis, Senator Andrew J. Lanza, Jeremiah Teehan, John & Lana Titta and Ellysheva Zeira at our annual Achievement Dinner & Auction Gala on Friday, October 26th, starting at 7pm at LiGreci’s Staaten. There will be a spectacular live & silent auction, gourmet cocktail hour and dinner, a DJ plus a terrific salsa band comprised of blind musicians that tour the country. All proceeds benefit people with developmental disabilities and the visually impaired. For more information or to get involved please contact Ilene Rosen at irosen@cityaccessny.org or 718-982-8380 Hope to see you there!!! Due to inclement weather and the decision by NYC DOE schools, City Access’ Day Hab Without Walls Programs are closed today, 3/4/19. We will resume normal programming tomorrow, 3/5/19. City Access New York in partnership with Snug Harbor Cultural Center & Botanical Garden invites you to attend our 2nd Annual Beeping Egg Hunt! A free fun family day for people of all abilities, the visually impared and the blind. Eggs beep allowing everyone to participate. My name is Helen Chichester, Michael’s mother. Its hard to believe that nearly 5 years had flown by. It feels like yesterday that Michael got started with CANY. I can honestly say that CANY has been the best experience Michael has had in his life, barring none. The worksites, the trips, the recreation are all great-hands on and supportive. But best of all, Michael has had something he never had before in all the schools he has been in: friends. A few years ago, Michael was at the circus with his father at the Barley Center, in Brooklyn. They were giving away red nose to everyone. Michael took one, then stopped. He asked the person if he could have some more. The person said “Sonny, you only have one nose.” Michael answered, “I’d like some for my friends at my program. I don’t know if they can get out to the circus. This way I can share the fun with them.” It was the first time Michael ever did that. It was the first time he thought of his peers and wanted to bring them something he can share. Until that moment, the best Michael had was classmates. Now he had friends. When Michael showed me the bag of noses and told me why he got so many, I started to cry. I had figured that my son had plateaued-that he reached his peak. CANY helped him to reach even higher. Today, Michael is more than anyone imagined and he is still growing. From the time he was diagnosed with PDD-NOS at the age of 4, when the neurologist said he should be institutionalized to the time he graduated from his high school at 21, where they thought CANY was too high for him-everyone thought Michael wasn’t going to make it. Everyone but me-and the wonderful people at CANY. The devoted men and women at CANY didn’t just work with my son-they helped him to grow into a young man. My words cannot express even a tenth of how I feel. May God bless each and everyone at CANY.